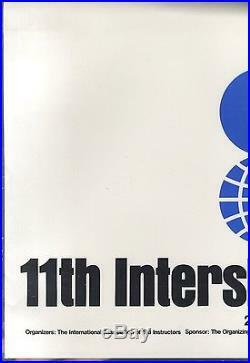 11th Interski Zao, Japan 79. 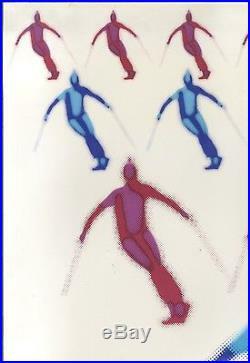 Organizers : The International Association of Ski Instructors. Sponor The Organizing Committee of the 11th Interski Zao Japan. Patron : The Ministry of Education. 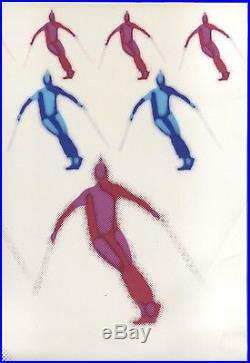 Supported : The Japan Amateur Sports Association. Printed in Japan by Toppan Printing Co. Bon état/good condition (affiche plastifiée, quelques plis/lamintaed poster, folds). 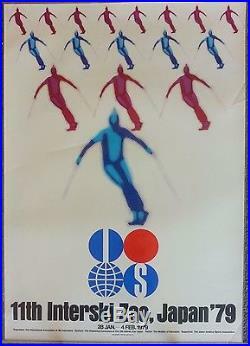 L'item "11th Interski Zao Japan 1979 /Affiche ancienne Japon/original ski poster" est en vente depuis le jeudi 22 juin 2017. Il est dans la catégorie "Collections\Calendriers, tickets, affiches\Affiches pub\ anciennes". Le vendeur est "laurentdesalpes" et est localisé à/en BARCELONNETTE.